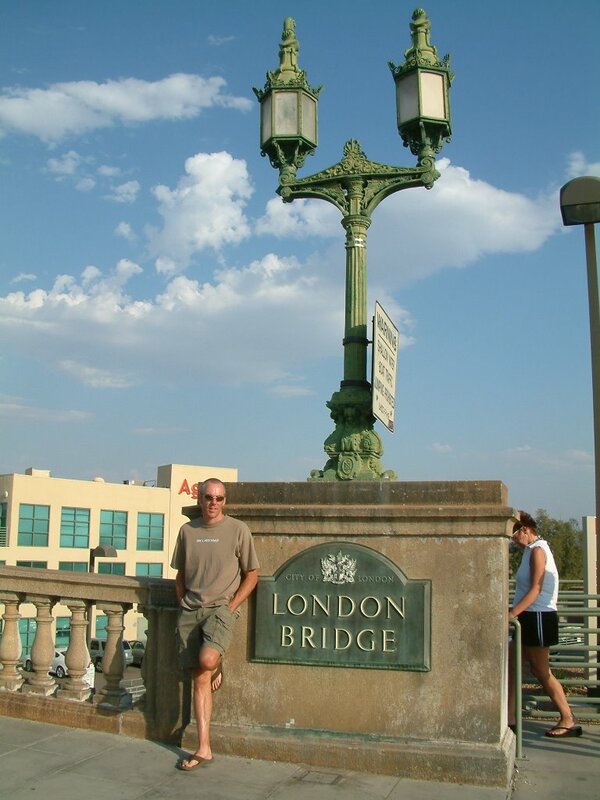 And we still didn't get to the Grand Canyon the next day either! 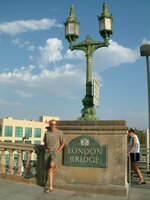 Drove via Lake Havasu - a rather dull town on a nice lake, but it's one claim to fame is it has the original London Bridge. Bought by the millionair developer of the town in 1968 it was dismantled into 10,000 odd bricks of granite then shipped over here. They even made an island for it to go across!! It was re-dedicated here in 1971. It's got a nasty tacky hopeless attempt at an 'olde englishe village' but there was a great brewpub overlooking the river so it kinda re-gained a few brownie points for that!! 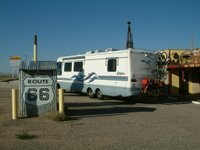 Next day we started from Kingman, AZ which is one of the key towns on what remains of the old Route 66. The road did stretch from Los Angeles to Chicago until the interstates and freeways did a better job. Much of the old road doesn't really 'exist' any more and one of the longest stretches that does in in Arizona - from Kingman to Seligman. Actually do I dare say it but it was a pretty dull road....not as dull as the interstate I admit!! A few roadside curios, shops, cafes, saloons but since we were driving at 7 in the morning most everything was shut. 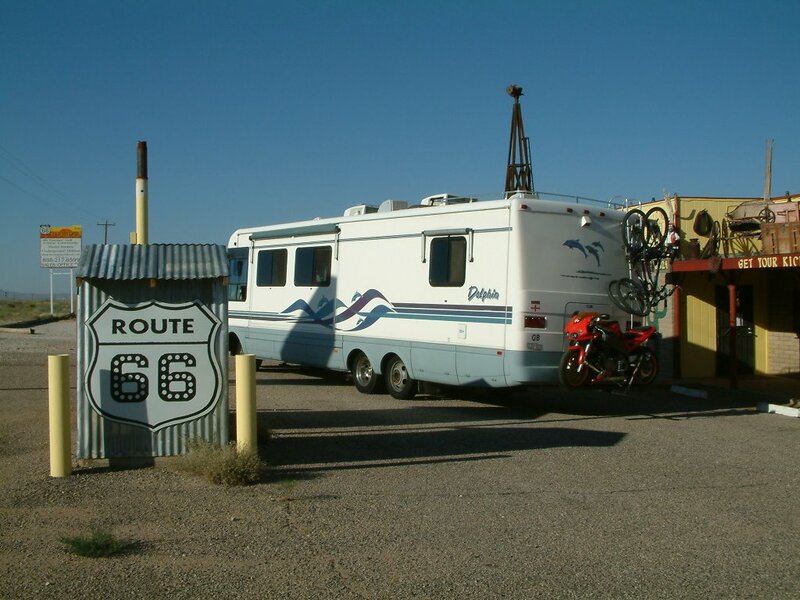 But we have had our 'kicks on route 66'!! Finally Friday afternoon we made it to the Grand Canyon! !